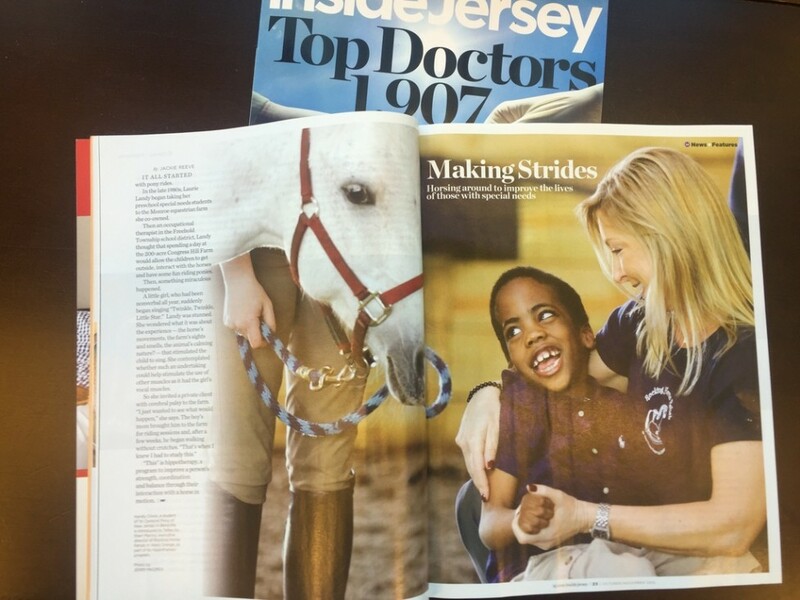 If you pick up the October issue of Inside Jersey, I have a feature on hippotherapy inside. Hippotherapy is the use of horses as a therapeutic tool for speech, PT, and OT. I pitched the idea several months back because H goes to one of the clinics I interviewed. She originally went for PT, now she goes for OT. And it’s been hugely beneficial for her, and motivating. She loves the horses she rides, and we’ve seen some great progress. So the article was pretty incredible to work on. It was a heavy research piece, with several interviews, and I learned a tremendous amount about why it works. And it’s in the magazine’s Top Doctors issue, which my mom tells me makes it an even bigger deal. Here’s the digital version, too. I can’t speak for INSIDE JERSEY, but the annual “Top Doctors” edition of ATLANTA MAGAZINE is in every doctor’s office for a year and must be seen by thousands of bored patients-in-waiting. Congrats.